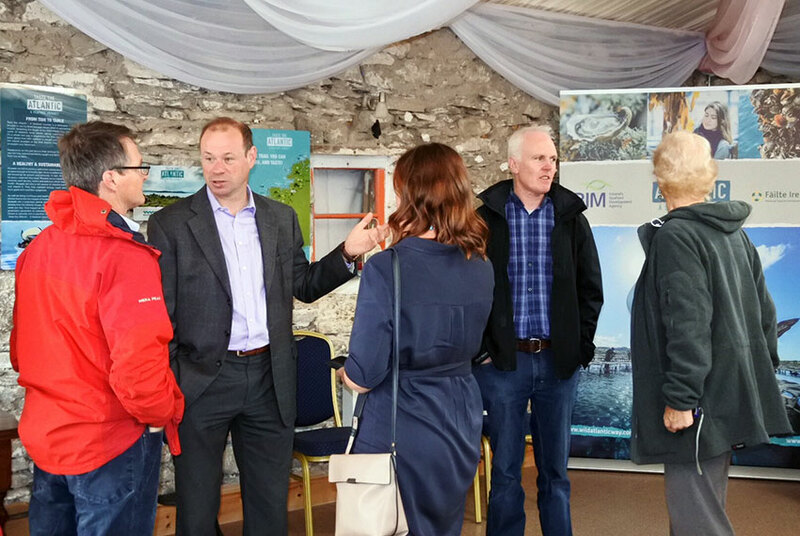 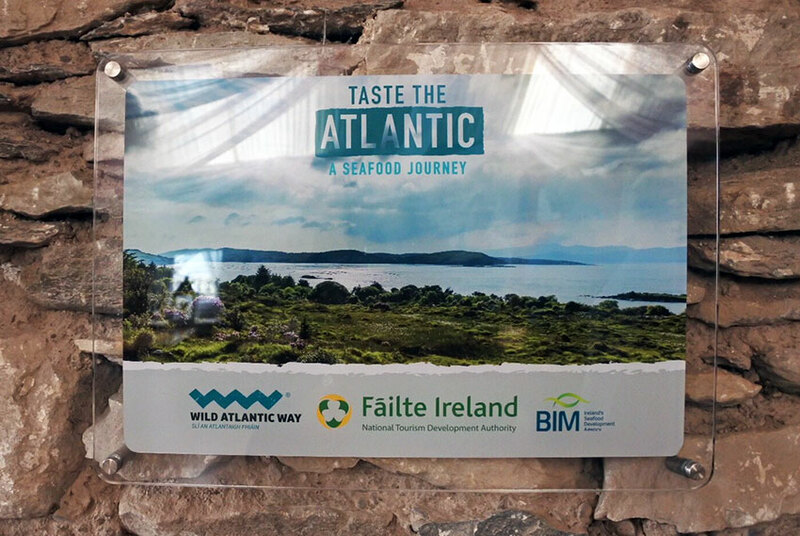 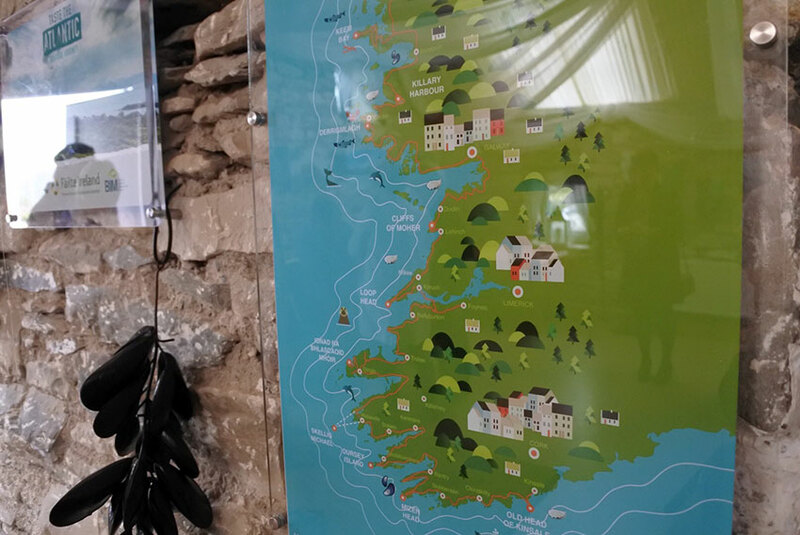 As part of the BIM initiative Taste the Wild Atlantic Way we were asked to create and install a permanent exhibition in the small function room at Helen’s Bar in Kilmackillogue in County Kerry. 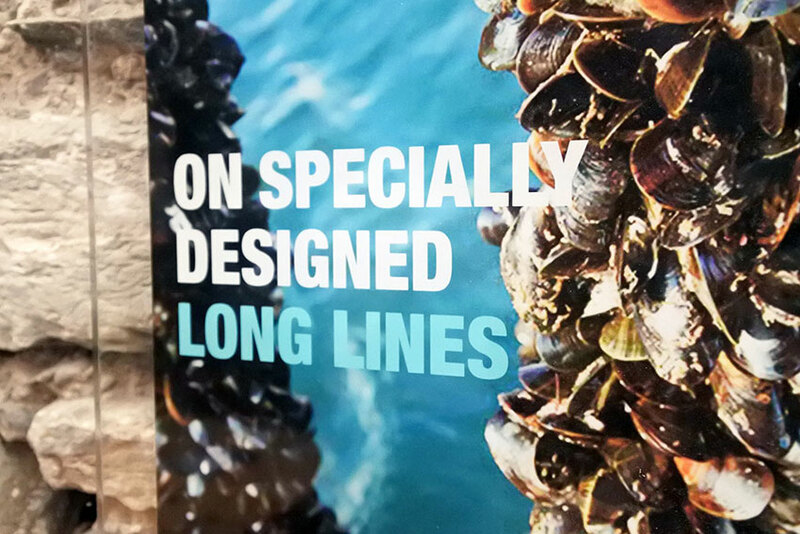 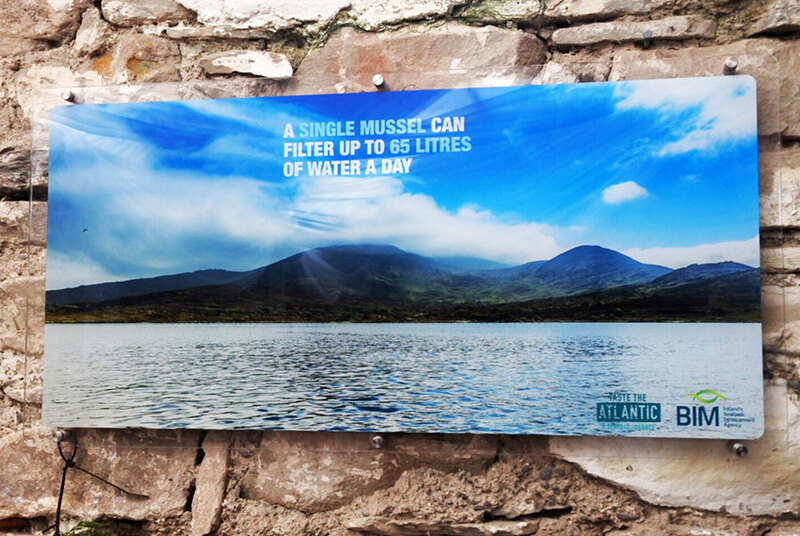 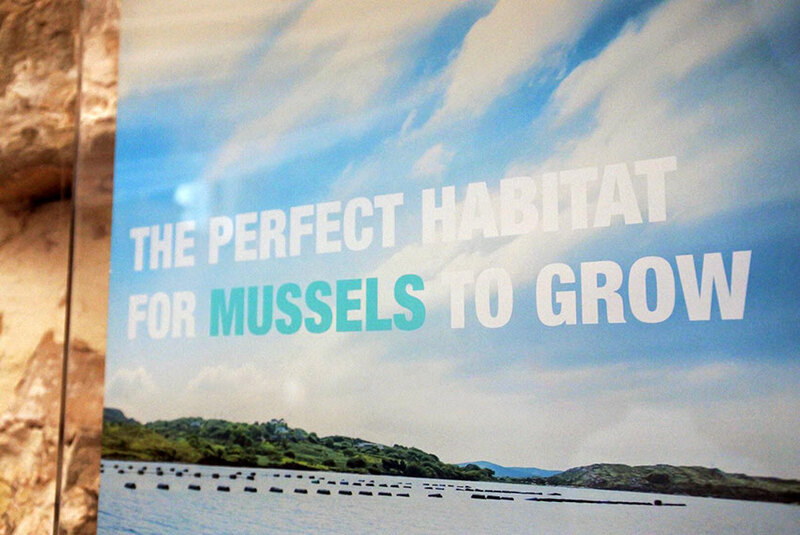 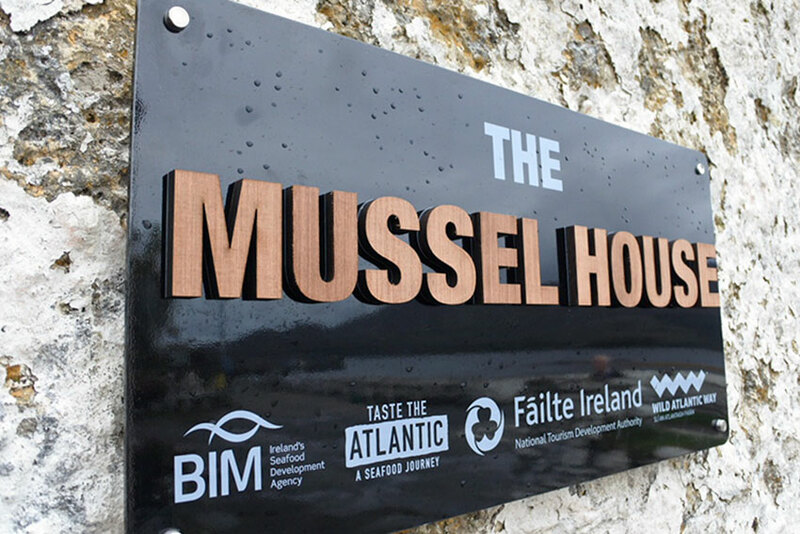 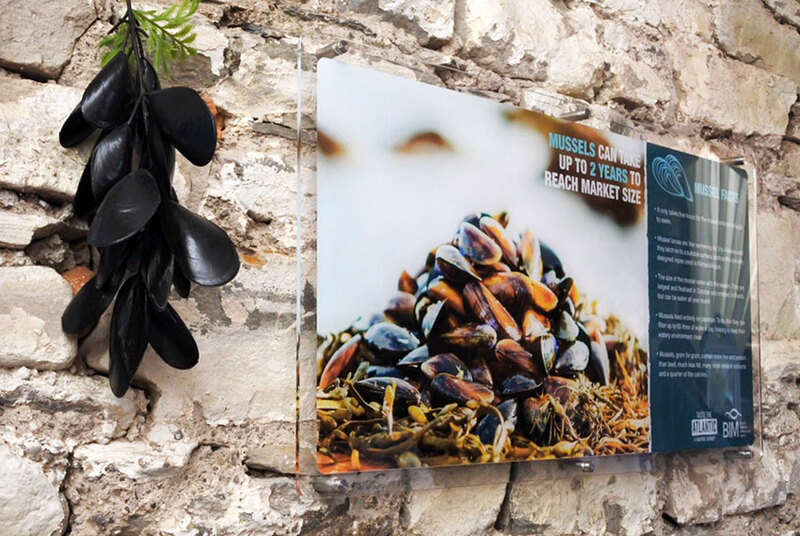 We produced a series of interpretive panels of varying sizes which highlighted mussel production in Kilmackillogue Harbour. 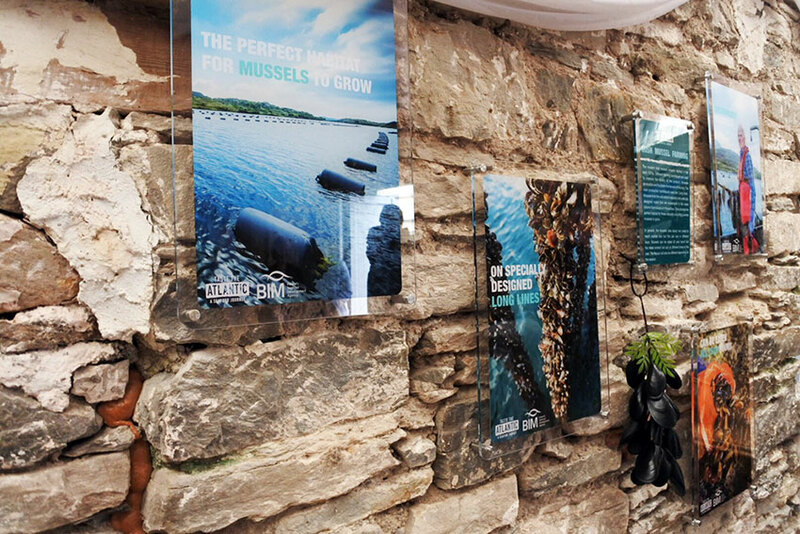 Due to the nature of the stone walls, a solution had to be found that would allow minimal impact to the fabric of the building. 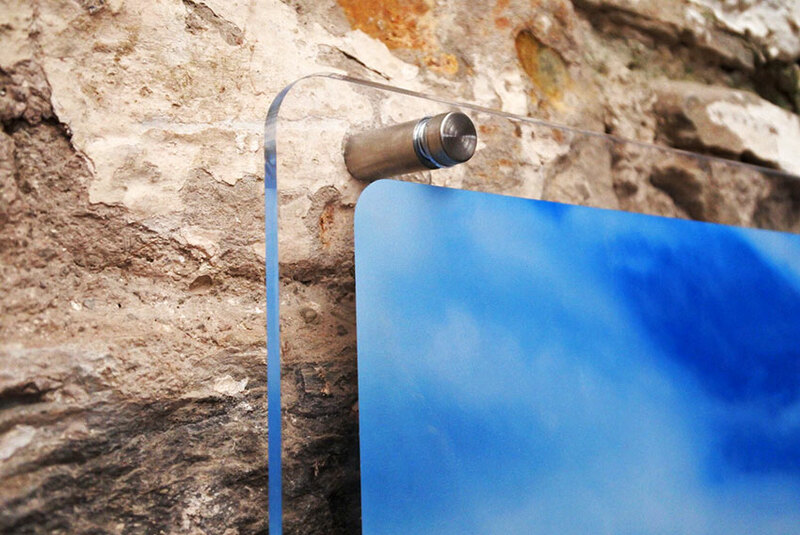 5mm thick acrylic was chosen as the material for the panels. 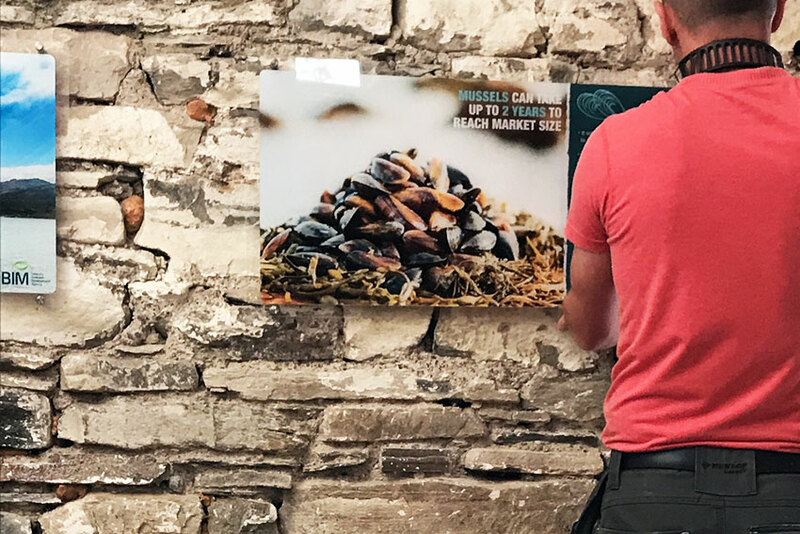 This had the advantage of being lightweight and the printed material could be applied to the back of the panels, making them tamper-proof. 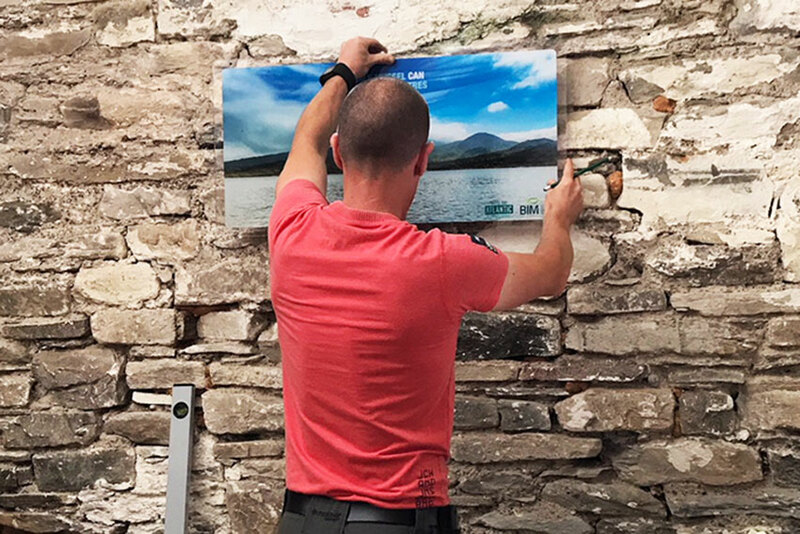 Installation: Each panel was attached to the wall of the building with four raised lugs and screws, giving the impression that they were floating on the stone surface.